The upper floor windows at City Gym wrap around the whole space, letting in ample natural light to bask in during your workout. Photo courtesy: City Gym. The holiday season often brings to mind next year’s resolutions. Getting fit regularly tops the list, though we all know it should be part of a health regimen that lasts all year long. But don’t discount this important goal – 2019 can be your year, with a little help. City Gym has a wide variety of exercise machines, enough that it’s rare to find yourself waiting to use one. Photo courtesy: City Gym. A gym membership helps sustain motivation and keep your goal on-track. Plus, it’s a chance to expand community and lend structure to your weekly routine. But where can you go that doesn’t make you feel embarrassed or ashamed? 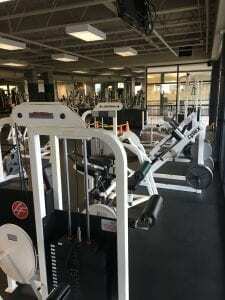 Bellingham’s City Gym prides itself on being friendly, affordable and welcoming for folks at any fitness level. 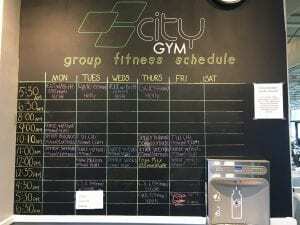 City Gym has a devoted community, which is especially apparent in their fitness dance classes. 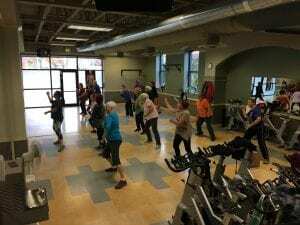 “Dance with Pattitude” is taught four times a week by instructor Patti Douglas, who uses music and movement to add structure to participants’ fitness regimes. Newcomers feel comfortable jumping right in, while the regulars who know it by heart use it as a framework for expressing themselves. For Halloween this year, dancers even donned their costumes and brought some added spirit to the class. Whether it’s your first time or you’re a seasoned veteran, the class is always positive and accommodates any skill level. Patti Douglas leads City Gym’s dance and stretch movement classes, including her very popular Dance with Pattitude class. Photo courtesy: City Gym. City Gym holds a range of fitness and aerobics classes that have broad appeal. Photo courtesy: City Gym. City Gym opens at 5:00 a.m. on weekdays, perfect for early birds looking to incorporate fitness into their morning routines before work. 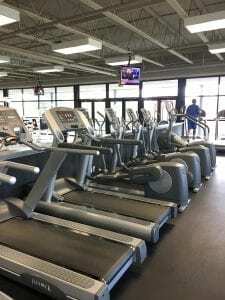 The gym itself is multi-leveled, with large windows that let in ample natural light. Yeung says many members like to do circuit workouts, where they move from station to station around the gym. 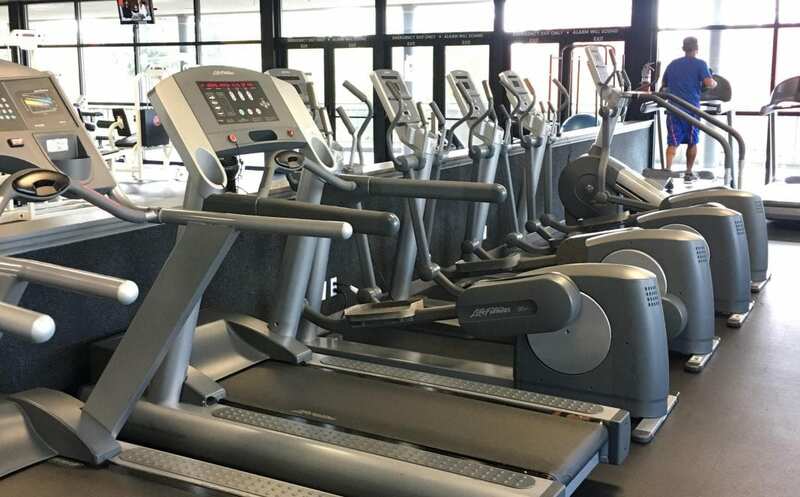 With the high volume of machines and weights, it’s easy to find the ones you want. Gym memberships can be costly and things like hidden fees and extra charges for aerobics classes add up. But City Gym prides itself on keeping membership packages affordable and transparent. Aside from personal training, there’s no additional costs outside base membership – and fitness classes are included. Keep an eye on their Facebook page for schedules and drop-in class opportunities, and make 2019 your year.